The successful applicant will be notified Friday 16 February 2018. Dates for 2019 submissions will open First week of October 2019. Applicants must be New Zealand citizens or permanent residents of New Zealand at the time of entry. Applicants must be committed to a career as a professional artist. Applicants must be able to reside and work full-time in the studio provided for the period of three months during the term of the residency. A visual presentation, exhibition, publication and/or public arts project at a gallery or public space or format to be agreed upon with the Trust. The time and place to be negotiated between both parties, but to take place within a timeframe of 12 months within the period from the end of the residency. The artist is to leave the studio at Ara School of Art and Design in the condition that they found it. The artist will present a talk about their arts practice and work to staff, students and the general public, promoted by Ara School of Art and Design. The artist will present an artwork completed during the period of residency to the permanent collection of Ara Institute of Canterbury for display in its campus buildings. The selection of the successful applicant will be made by a panel of three, consisting of a prominent academic, curator and practicing artist. The selection panel will be announced prior to the public request for expressions of interest in the residency. Selection will be based upon the criteria of the Grace Butler Memorial Foundation Trust deed, with consideration of the quality of the artist’s work and the intentions of the Award to assist in sustaining and furthering the artist’s practice. Selected artists living outside Canterbury are responsible for their own travel and related costs, and their accommodation in Canterbury for the period of the residency. The selection panel’s decision will be final and no correspondence will be entered into. 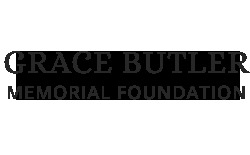 All information provided in the application to the Grace Butler Memorial Foundation is complete and correct. Artists consent to the disclosure of any information from the referees or any other person to the selection committee relating to the application. The images submitted are the artist own work. The non-refundable application fee of $20 must be paid by Direct Credit. This application fee is for the management of the Award and does not contribute to the Award prize money. All fees include GST. Your application will be processed when your application fee is received. Direct Credit payments are to be made into account: 02-0800 -0440848-02. Butler Memorial 765845-1 in the Reference Field. Original generation time 1.0107 seconds. Cache Loaded in: 0.0432 seconds.